Your Shambhala Community has moved to a new bigger space at the same convenient location of 120 LeMarchant Rd. Just come in through the front doors, turn left and proceed to the end of the hallway. All welcome to come and sit and enjoy the new space. Parking is available at rear with limited parking in front of the building. The doors at the rear may also be unlocked for easy entry from the back of the building, just come down the stairs and veer to the right. See you there! 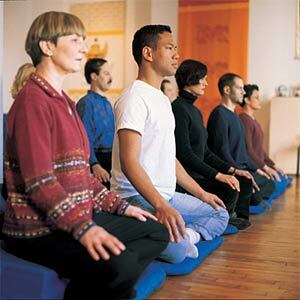 Yes, we hold a Learn to Meditate Open House on the first and third Tuesdays of each month at 7.30 pm. The next Open House is tomorrow, March 18. See here for details. will there be a session on March 26th. can you please send me some info and times. I am very interested in learning meditation. were you on CBC radio today? Angela – yes, we were on CBC radio yesterday. There should be some more info on the way to you via email shortly.